Most digital music has already been optimized to offer the best sound on various devices and sound systems. However, it doesn’t mean there’s no room for improvement left and the easiest way to adjust its quality is using an equalizer. If you’re a Spotify user then you already know the app doesn’t have the most complex audio controls. However, it is possible to enable an equalizer for Spotify regardless if you’re an Android or iOS user. Using an equalizer, you can tweak the loudness of individual audio frequencies. 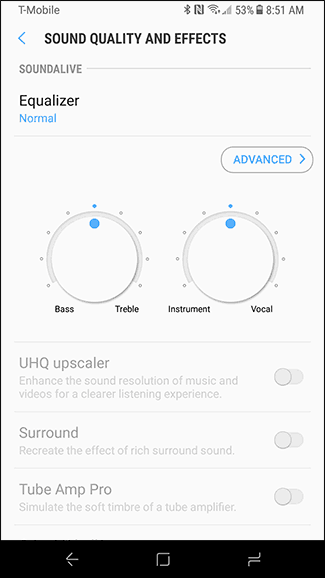 There’s no single, perfect equalizer setting as this depends on the device used to play the music, as well as your personal preferences (you might prefer a louder bass for example, while others might like hearing the higher frequencies louder). 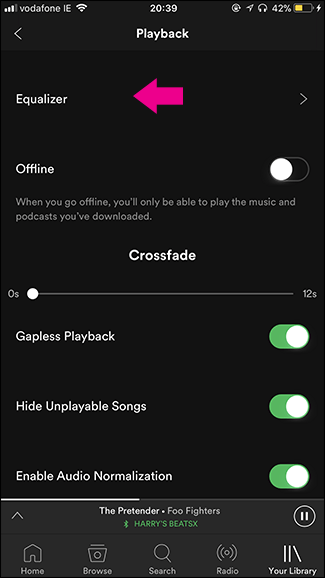 Spotify has a built-in equalizer which is not easy to stumble upon, so if you’re using this app to listen to music, here’s how you can enable it. 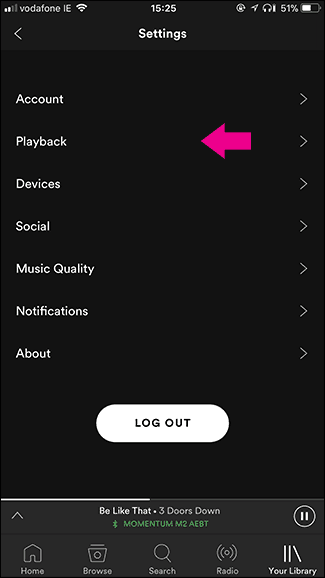 Launch the Spotify app on your Android and tap the gear icon in the upper-right corner to open the Settings. Scroll down through the list of options and tap “Equalizer”. 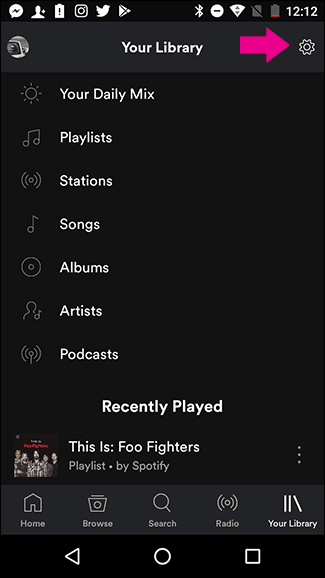 On Android, open Spotify and tap the gear icon in the top right corner. Scroll down and then select Equalizer. 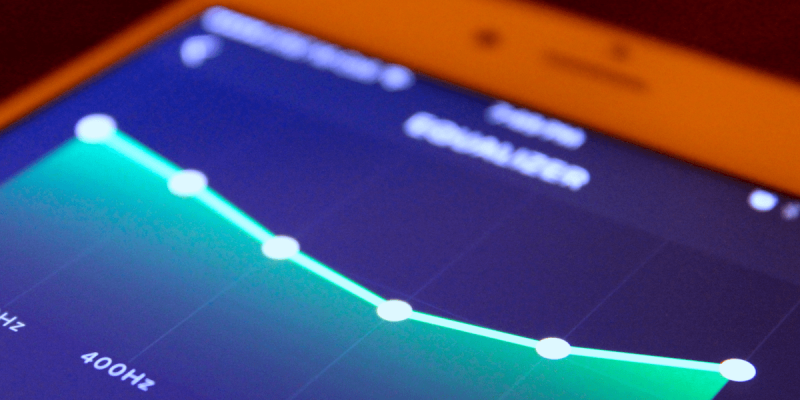 The equalizer you see will look different depending on your device’s brand because each manufacturer will install their own equalizer and Spotify will use it. While they might work in a different manner, the results they provide are basically the same. For the same reason, if Spotify doesn’t provide an option to use an equalizer, it’s probably because your manufacturer didn’t include one, to begin with. 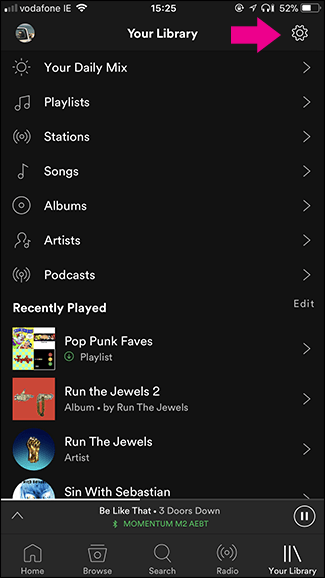 Open Spotify on your iOS device and navigate to the Your Library tab. There, tap the gear icon in the upper-right corner and then tap once more on Playback. On the Playback settings screen, tap “Equalizer”. Next, enable the option if it wasn’t already. Unlike Android, on iOS everyone will get to use the same equalizer. Each number shown in the graph belongs to a specific range of audio frequencies. 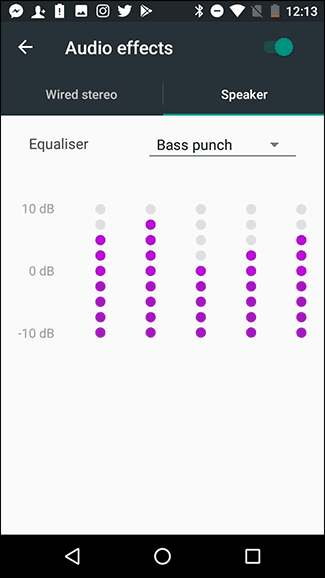 While this is not the same for each equalizer, in the Spotify app the bass is represented between 60Hz and 150Hz, the midrange is between 400Hz and 1KHz, while 2.4KHz to 15KHz corresponds to the treble. You can change the loudness for each group of frequencies by dragging the points on the graph up and down. You might need to experiment a bit until you get it right or take the easy route and choose one of Spotify’s built-in presets. It’s also worth noting the presets can be customized as well.